The Baby/Toddler – My Kitchen activity focuses on combining the DWE product with various food related topics, songs about the kitchen and vocabulary. 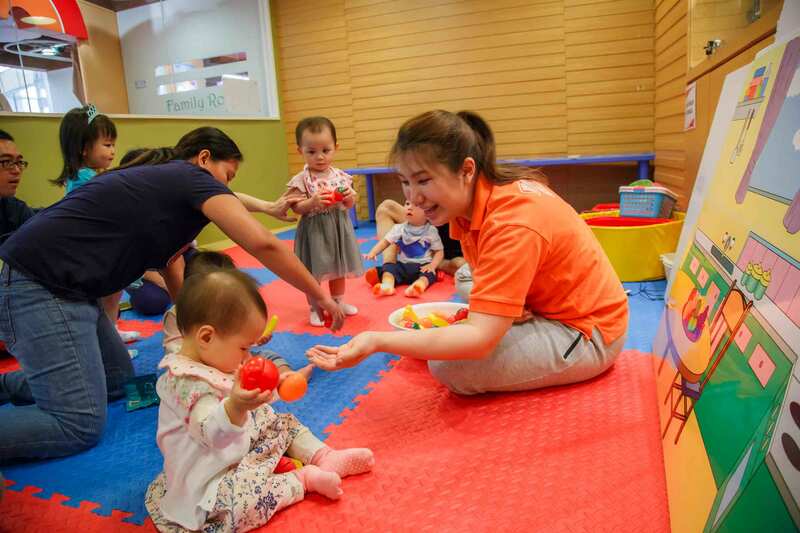 Baby/Toddler activities help develop motor and social skills, self-confidence and independence by allowing children to complete themed tasks. This activity covered different food items from the Play Along set which taught children food item names, cutting the fruit and sharing with others. Plenty of songs also covered what to do after using the kitchen like cleaning up and sorting dishes. This allowed the children a fun, interactive and engaging activity. Baby/Toddler activities are a great way for little ones to kick start their learning, no matter how young! New vocabulary is also introduced with the use of talk along cards and DWE songs.